It's not even Halloween yet, so why in the world am I writing about Christmas? I'll get to that. I love asking other people about their holiday family traditions. One of my favorite things as a child (ok, it still is) was napping next to the Christmas tree. It always felt like the most peaceful place in the world. 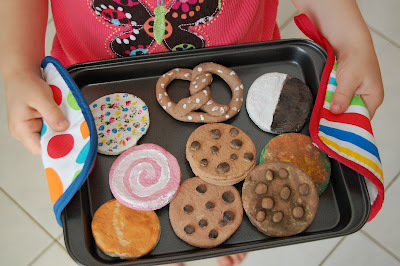 I looked forward to my aunt's sugar cookie cutouts with rich butter frosting, and the Christmas Eve family gathering at our home. There was also a tradition I didn't like. It's one that would be a totally popular pin on Pinterest. In fact, pretty much everyone I have ever told about it has declared it a great idea instead of sympathizing with my pain. 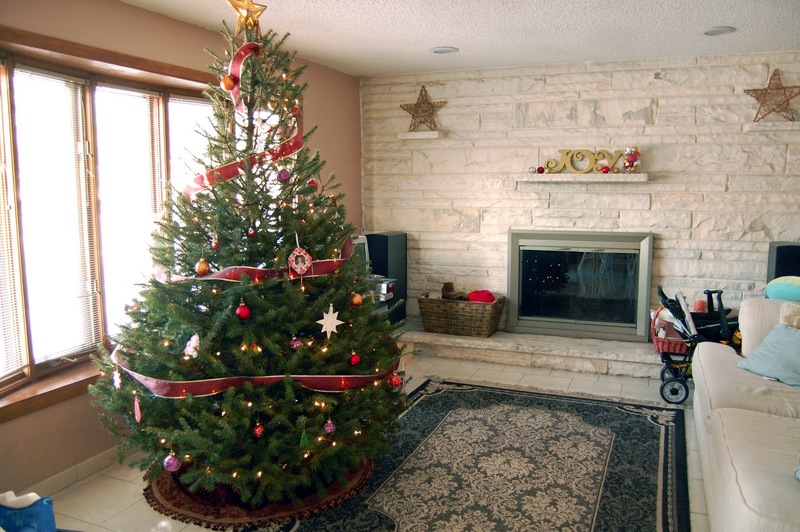 :) Each year, my mom set up a video camera pointed at the Christmas tree. My dad manned the lights. My brother and I would hide behind the artificial tree, and when we received the silent cue, would emerge and walk around ye old tennenbaum once, smiling like sweet cherubs at the camera as we walked by. Repeat, once each year. The collective effect on the video is that each time my brother and I walk around the tree, we are one year older. One year an ornament got caught on my awesome polyester sweatsuit and I toddled on with it attached. In the teenage years, you can actually watch my brother and I become more awkward and develop sneers and acne before your eyes. At some point I stop growing and my brother continues on to 6' and beyond, making it hard for both of us to actually get at all incognito behind the tree. I was made to do this one last time the year before I married my husband. I was 19. In a very immature effort to escape the inevitable, my brother stole the camera and I hid in the alcove of the kitchen island and pulled the stool in behind me to cloak my retreat. (Sorry for being a brat, mom!) My onlooking fiance was a little mortified, but he married me anyway ladies and gentlemen. In the end, we walked around that tree. In the 7 years since, it's been really special to form our own family traditions. The ornaments we hang on our tree each year were a bridal shower gift from a dear, dear woman at our church that has since gone home to be with her Lord because of cancer. I always think of her and how she loved her Savior when I look at those beautiful orbs. We picked out the tree skirt to match them just a few weeks after we got married and have used it ever since. We always cut our own fresh tree, and I love the smell of pine that fills the house in the following days. We decorate it and munch Christmas cookies and listen to carols and hymns. Most precious of all our traditions is our nightly Advent celebration. For the month of December, we take a break from whatever we're doing for family devotions to read Old Testament scriptures foretelling the coming Christ, eventually ending with the actual story of His birth in the New Testament. We've typically used Advent Foretold as a guide. While the day we celebrate Christmas probably isn't the day Jesus was actually born, we still treasure this time of year as a time to focus our hearts and minds on the miracle of the incarnation. Immanuel, God with us, becomes sweeter to me each year. Because we want our children to be able to trust our words, and because it's important that God is the only true omnipotent, omnipresent, omniscient judge of good and evil, we've chosen not to make Santa a part of our Christmas traditions. A sense of entitlement is a modern world epidemic. When my kids receive gifts, I want them to make the connection that someone worked hard for the money to buy that gift, spent time thinking of them and purchasing and wrapping it, and delighted in giving it to them. In a word, I want to cultivate gratitude. When a giant elf shows up with magic-made toys that have been earned by good behavior, there's a lot less to be grateful for and a lot to feel "owed." When my kids see that mommy and daddy are joyfully giving them good things even though they've disobeyed over and over...that has the potential to be a picture of the gospel. So, when we give gifts to each other, it is to each other and to God for his provision that we express our gratitude. I really respect families that have separated gift giving from Christmas entirely so as not to distract from Christ's birth, and we've gone back and forth about this ourselves, but for now we've decided to continue exchanging gifts. Still, for the good of my own heart, I look for ways to minimize the time I spend thinking about shopping during the Advent season. If I start early, I can do everything at a more relaxed and peaceful pace (which brings me to why I've got Christmas on brain before the leaves are even off the trees). I LOVE buying gifts that I know the ones I love will love, but whether it's perfecting Amazon wishlists through hours of research or checking every major retailer's website 50 times over for the best price on something, worrying about expectations or resenting our carefully thought out budget, there are lots of ways gift-giving and receiving can cause my heart to wander from Christ. Trying to fit it all in in the few weeks between Thanksgiving and Christmas makes it worse. And outside pressure doesn't help, either. People literally kill each other trying to get to good deals in Walmart on Black Friday. That's crazy. Christmas is about Christ. Do I believe it and act like it, or is it just a nice saying? I love putting together gift baskets. Here's a peek at one I made for my grandparents a few years ago, full of super yummy things that were fun to make and fun to give. 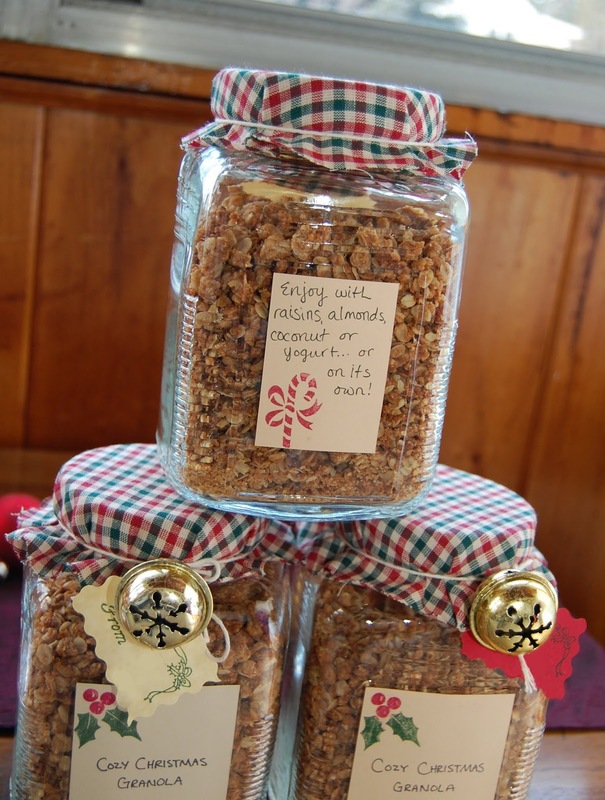 That same year, we gave decorated jars of homemade granola to some other family members. Talk to me! Do you shop for Christmas all year? Have you found a way to be joyful throughout the busy month of December? Do you look forward all year to the hustle and bustle? I'd love to hear about your favorite (or least favorite) Christmas tradition(s), your homemade gift ideas, and how you keep Christ at the center of all that goes on in your heart and home at Christmas time. I've found that unless I'm intentional about it, starting pretty far in advance, I end up on Christmas Day with empty packages and an empty place in my soul where a newborn King and a cry of "Glory to God in the highest!" should be.